This is literally one of the best books I’ve ever read. I am a victim of abuse and have an ACE score of 5. I just found that out in the last couple of weeks, thanks to Dr. Harris’ questionnaire. 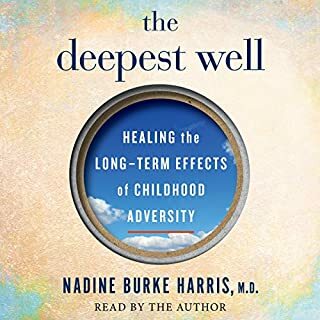 I’m 74 years old and still dealing with the effects of my upbringing and with Dr Harris’ knowledge, research and her work, other children will have help and support as they make their way through a difficult childhood. This is some of the most important work I can imagine. Dr.Harris’ reading is beautiful and impeccable and a total joy to listen to. I give this book an A+ rating. The story may have been more interesting with a different narrator. I didn’t like her reading of the different characters- I think maybe they didn’t seem all that different from each other. I felt as though this book dragged on and on and the only reason I finished it was my curiosity about who the killer was. I really enjoyed this book until it was close to the end. The narrator is first class and gives Gracie a marvelous sweet voice. Since I am 74 years old (and a full time working artist), my days of birthing and raising children are long over with. I thoroughly enjoyed that time of my life and I thoroughly enjoy my life now. Neither of my two kids wanted or have children so of course I have no grandchildren. My husband and I were lucky in that we had our natural children with almost no effort to become pregnant. I was adopted at age 3 into a stressful and dramatic family of which I was the only child. My birth was the accident in the life of a clueless 17 year old and when I met her she all but told me that I ruined her life. So I will admit that that was the background from which I was coming to this book. 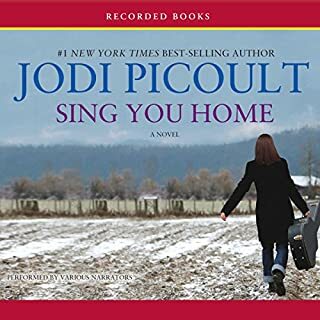 I really like Ms. Picoult’s books, but this one didn’t appeal to me for the following reasons: too long, too much emotion, and too many songs. What I did like was the emphasis on lesbian marriage and some of it’s problems and the Christian Right imposing their beliefs on gay marriage and child raising. 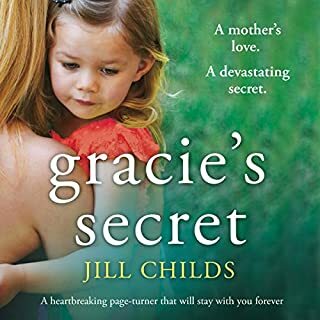 I did like the ending and wonder whether the author had that ending in mind when she first thought of how she would write the book. I thought the narrators did quite well with the various voices-especially Pastor Clive’s. I love Malcolm Nance. I’ve seen him many times on MSNBC and I’m always glad to see him there because what he says is always so very interesting. When I heard that he had written this book I couldn’t wait to order it. 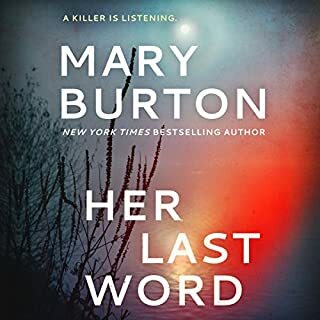 The fact that it was on Audible made me doubly happy and sure enough has lived up to my expectations. 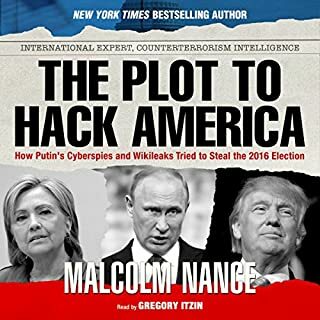 This fascinating author who himself was involved in the world of espionage and knows so much about Russia and Putin, has written a fascinating and frightening book about what happened during the 2016 election in the field of cyber attacks and Donald Trump. At the time of it’s writing, Trump had not been elected yet and makes the truths in this book even more frightening. 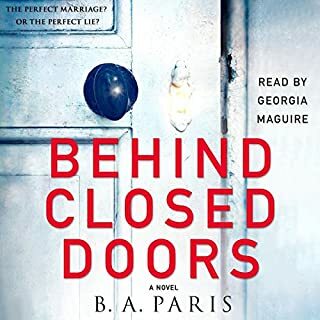 I highly recommend this book although I’m not totally fond of the reader’s voice. I wish Mr. Nance had read it himself. 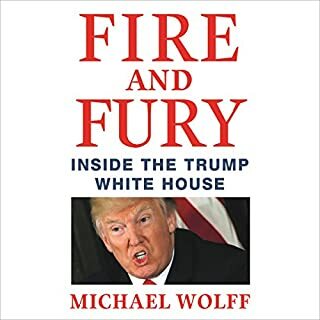 Even though I have followed the presidency of Trump every day since it began (with two weeks off over the end of year holidays), this book put it all in perspective for me. Wolfe’s telling of this story through the eyes of Steve Bannon and juxtaposing Ivanka’s and Jarred’s fight with him for control over Trump was fascinating. The reader did a wonderful job of making it all alive for me. This is a beautifully crafted book. The reader is excellent and she uses very effective voices for the different characters. I would love to read something else by this writer. I would recommend this book to anyone interested in Holocaust history or history of World War Two. 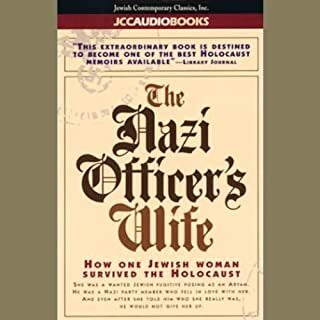 An amazing story of a woman who escaped the Final Solution, it is beautifully written and fabulously narrated. One of my absolute favorite books. 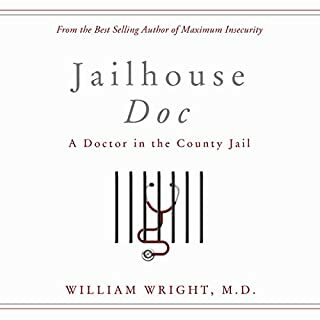 Dr. William Wright gave up a suburban practice as an ear surgeon to become the doctor at Colorado's maximum-security prison. After that, running a medical clinic at the county jail should be a snap, right? Oh, brother. Hoards of desperate people fresh from the streets, homeless addicts, illegal aliens, and gangbangers all ruled by a corrupt sheriff and his concubine sidekick made the supermax look almost pastoral. I thoroughly enjoyed Jailhouse Doc. I like the author's sarcasm in describing his patients while caring for them as humanity in general. The chapter on illegals was fascinating. I have employed many Mexican and Guatemalan immigrants and love Hispanics in general. (I live part time in Mexico.) I employed them years ago and spent many a Sunday extracting them from whatever jail housed them for the weekend. Now I plan to read Dr. Wright's first book. If you could sum up UFOs: Generals, Pilots, and Government Officials Go on the Record in three words, what would they be? 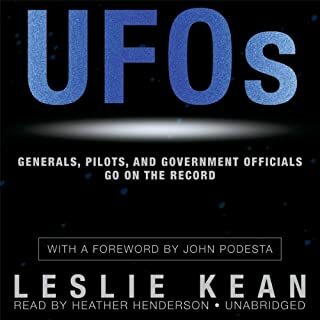 What was one of the most memorable moments of UFOs: Generals, Pilots, and Government Officials Go on the Record? Finding out that John Podesta, President Jimmy Carter and a few other famous persons saw and/or are interested in revealing information to the American public about UFOs. I kept imagining her as being the author herself. Revealing the truth about UFOs to the American Public. I wanted this book to go on and on. I hate it when a really good book ends.